Welcome Home! What you were looking for is right here! 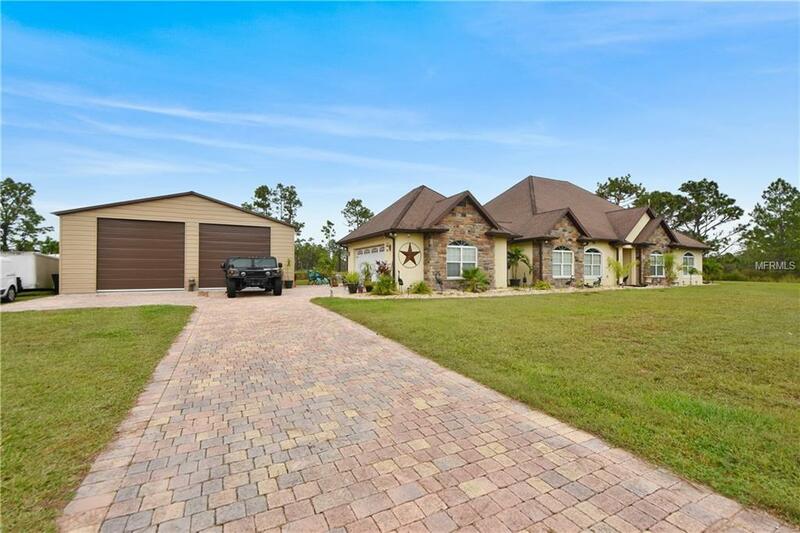 This wonderful 4 bedroom 3 bath remodeled saltwater POOL home on 1.33 acres with a 44x35 detached garage has everything you need! Let us begin with the pavered driveway that is on the walkway, pool deck & back of the home. Most everything in this home has been remodeled in the last 2 years.Let us begin with this exquisite kitchen with antique cream cabinets, granite counter-tops & stainless steel appliances. Crown molding and recessed lighting everywhere in this home. Control all the lighting in the house with smart lighting that you set for how much time you want it on with ease. This magnificent kitchen has under cabinet lighting as well. The ceramic tile runs the same through out the whole home. The spacious pool deck is a wonderful retreat after a long hard day at work and accessed through 8 ft. doors that swing open to totally open up to one large space as the weather permits! New doors , bathrooms, and vanities throughout the home all less than 2 years old. The master suite is spacious and comes with a walk in closet with California style closets ans was built as a safe room when storms pass our way. The master bath features a walk in shower as well as separate tub as well as his & hers sink. Two bedrooms come with an attached bathroom. State of the art Hoot septic system installed and this home is fully fenced. The spacious office can be converted into another bedroom. 15 min drive to Orlando International Airport ! Welcome home! Additional Lease Restrictions Minimum County Lease Restrictions.